Scooters are an excellent choice when it comes to making daily trips around a busy town like Blackburn. This is why at Direct Bikes; we help make owning a scooter in Blackburn affordable and easy. There are so many amazing benefits of owning a scooter in Blackburn that you should know. Here are a few of them. Easy to Learn: Unlike cars which require extensive training to ride, riding a scooter is much easier. Hit the Road Earlier: Scooter owners are more likely to ride on public roads earlier than other road users. This is because you can legally ride a scooter by the age of 16. Faster in Traffic: Scooters are compact, which allows you to zoom out of traffic faster than other vehicle owners. Low Fuel consumption: Scooters consume less fuel than cars or bikes, making them a more cost-efficient option. Insurance: Direct Bikes will help you compare the best scooter insurance deals on the market to help you maximally enjoy your scooter. Price: Both our 50cc and 125cc scooters and scooter parts are cheap. Finance Options: Our payment methods are also tailored to suit your financial capability. Design: At Direct Bikes, our scooters are designed in various colours, sizes, styles and customisable to suit your age, preference, and needs. You may be aware that we have no local distributors in Blackburn, but we will get your scooter to you wherever you are in this town. 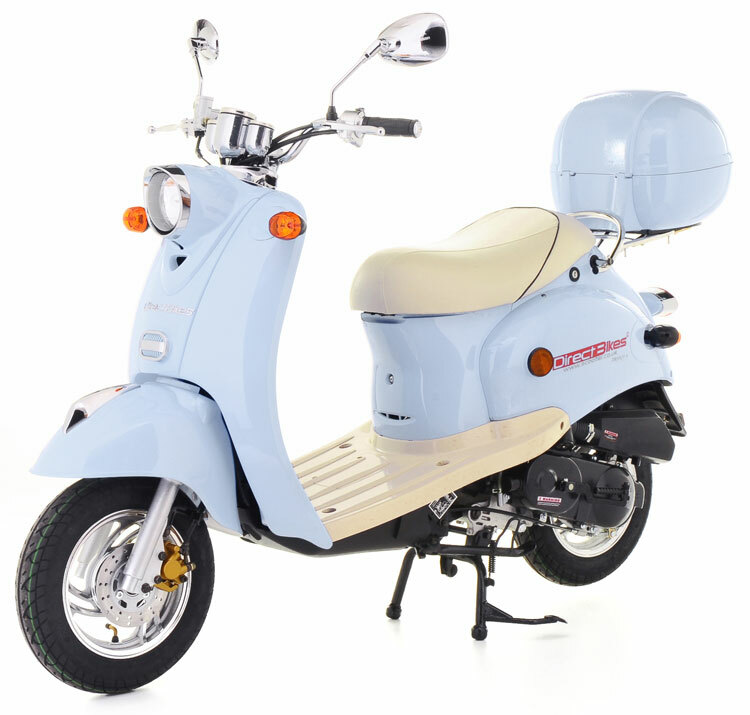 Simply fill in your delivery details during payment, and we will deliver your scooter straight from the manufacturer to wherever you are in Blackburn. We are just that good!